1. If permitted, transfer in credits from your master’s program. Some doctoral programs will allow you to transfer in credits from your master’s degree in order to grant you “advanced standing.” By doing this, you can save yourself both a considerable amount of time and money. I was able to transfer in 30 credits because I had a 57-credit clinical degree in mental health counseling. By doing this, I essentially eliminated the need to take a minor or cognate area. If you are just researching programs now, ask about the possibility of gaining advanced standing. 2. Start your dissertation from day one! As a high school teacher I had said on the first day of class, “It’s never too early to start preparing for the final exam.” This holds true for the dissertation process as well. Everything that you read and write in some shape or form should help contribute to your dissertation proposal. DO NOT wait until after your comprehensive exam(s) to start thinking about a dissertation topic. Look at what other topics students in the department / program chose to research. There is no “perfect” topic so do not attempt to find it. Choose a topic related to an area or concern that is dear to your heart as this will make the work more enjoyable. Read as much as you can on the topic, and complete class projects related to your topic as much as is appropriate. This will help to create a body of knowledge you can use to craft your dissertation proposal. 3. Choose a dissertation topic that is “researchable” with ample existing literature – Remember the old adage: a good dissertation is a done dissertation! Also, you should not try to solve the world’s problems nor waste time trying to come up with ground-breaking and novel research; your goal is to earn a doctorate. Pick something and go with it. Seek advice from your cohort classmates and faculty if you are truly stuck. Read journal articles in your area of interest to see what current research is being conducted. This can help guide you in finding a topic. Also, DO NOT choose a topic in which there is little to no existing literature. This is going to make it extremely difficult for you to write your literature review chapter and will create problems when you seek a conceptual framework for your study. Lastly, craft research questions that you can research. Do not try to study something that is going to cost a lot of money and / or create logistical research design issues. This can cause undue frustration and easily inhibit you from finishing. Your faculty advisor should be able to offer critical advice on this. 4. Don’t be afraid to change dissertation advisors / chairs if needed – The advisor / advisee relationship, in my opinion, should be solely defined on helping the student reach their goal of successfully completing the dissertation. Unfortunately, this relationship can become a vacant formality and some students lose out on quality guidance, which can become detrimental to the successful completion of the dissertation. Please keep in mind that it is ultimately the student’s responsibility for their own success. With that being said, you shouldn’t hesitate to seek out another committee chair or dissertation advisor if they are not helpful or simply nonexistent. This isn’t personal, it is a means to an end; you need to finish your dissertation. As the case with any type of employee, faculty have different motivations, skills, and weaknesses. This is why you should thoroughly “shop around” for a dissertation advisor / committee chair. This should be a quasi-interview of sorts in which you both lay out expectations of one another. This way you know up front whether or not you and this faculty member are a good match. Just as a note, it is advisable to stay away from choosing someone who will be retiring shortly or going on an extended sabbatical as you want the advisor / chair to see you through the entire process. 5. If working full-time, ask for “staff development” time – I was lucky enough to be able to leave work early in order to attend my classes. (I had to commute 1.5 hours to Penn State so I needed ample time in order to make my 3:00 PM or 6:00 PM classes.) This was something that I had to earn and specifically ask for. If you feel you can do so, and it won’t cause you problems with your employer, see if you can be granted some leave time for working on your doctorate. This does not mean being away from work for semesters at a time (like a medical leave), but just the time you need for class during the day. Do you have room to negotiate somehow with your employer? Can you forgo attending an annual conference for staff development in exchange for a few hours on class days? (They would actually be saving money by not sending you to the conference). Also, can you utilize class projects and research to help the department you work for. I developed multiple staff training activities and curricula based upon required class assignments. 6. Eliminate distractions – Getting dedicated time to concentrate on reading, class papers, and especially the dissertation is paramount. Work where individuals will leave you alone, including your family. If this means getting out of the house, do so. This may sound selfish, but if you want to complete the doctorate, you (and your family) will have to make sacrifices. I found that going to a public library was great because I was left alone. Additionally, I utilized the library of a local college that I had no affiliation with. By doing this, I knew I wouldn’t be distracted by staffers or students that I had relationships with because I simply didn’t know anyone at this institution. Do without the internet, social media, and your cell phone if possible when working. When I was writing my dissertation and completing data analyses, I gathered everything I needed for the night from the internet ahead of time prior to working. Once I started to work, I cut myself off from all online distractions. It is real easy to go from multivariate analysis to checking your fantasy football lineup or how many new Twitter followers you gained in the last hour! Having Facebook, Twitter, or cell texts in the background can easily sabotage your best efforts to get work done. Stay away from the TV and movie rentals when taking a short break – This should be a no-brainer, but these are major distractions that can be hard to walk away from. One episode of the Sopranos can easily turn into three or more, and you’ve just potentially lost multiple written pages for your paper. Your work breaks should be short in length (5 – 10 minutes) so save entertainment as a reward (see #7). 7. Reward yourself with scheduled leisure time – You can’t work all the time. If you do so, the work is going to be repulsive and this can be a recipe for disaster. Be purposeful in rewarding yourself with leisure time rather than just having leisure time haphazardly. This is important because working on a dissertation can oftentimes be tedious and laborious; you don’t want to side on more fun than work because you’ll never get it finished. Rather, create a reward system, and stick to it. For example, if you study or write for three hours each day on Monday, Tuesday, and Wednesday, reward yourself with a movie rental, night out, or pleasure reading on Thursday or Friday. You can choose whatever system you want, but stick to it. Good luck to you in your academic pursuit of a doctorate! 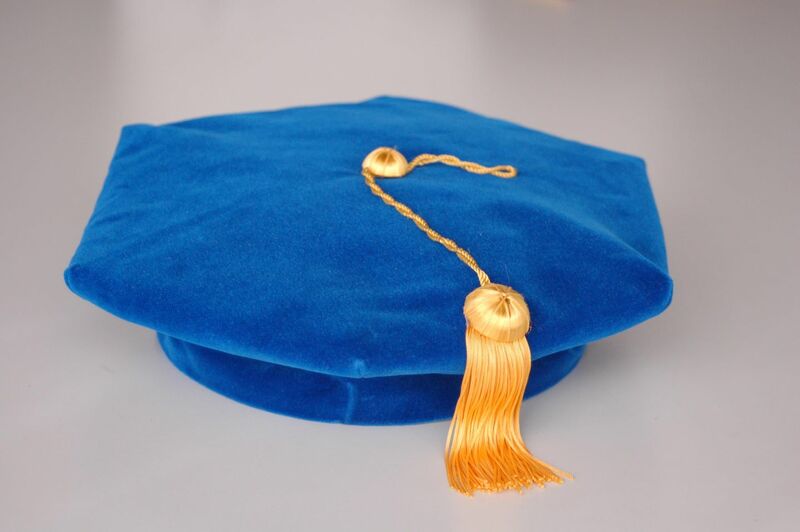 Stick with it, and visualize yourself walking across the stage in your academic regalia. All of that hard work will surely pay off in the end. What are some secrets you can share related to earning a doctorate? What worked for you and what didn’t? Please share your thoughts as a comment. This entry was posted on Monday, September 26th, 2011 at 9:00 am and is filed under Graduate School. You can follow any responses to this entry through the RSS 2.0 feed. You can leave a response, or trackback from your own site. Thanks David! That is great advice. As I tell those who are contemplating working on a doctorate, “You gotta’ want it!” You are 100% correct in that it takes discipline. Good luck to you, David. Always let me know if I can be of any assistance to you.